In today&apos;s increasingly complex and global business landscape, supply chain management is an important differentiator for companies today. To help, this section on ERP and supply chain management provides expert advice on choosing and implementing supply chain management software, logistics software, analytics, and supply chain visibility technology, as well as planning for market demands and adhering to best practices. We created this expert guide showcasing a variety of cloud and on-premise use cases to help you make the best choice based on your business’ unique needs. An ERP implementation isn’t a “one size fits all” approach, that’s why we’re here to help. 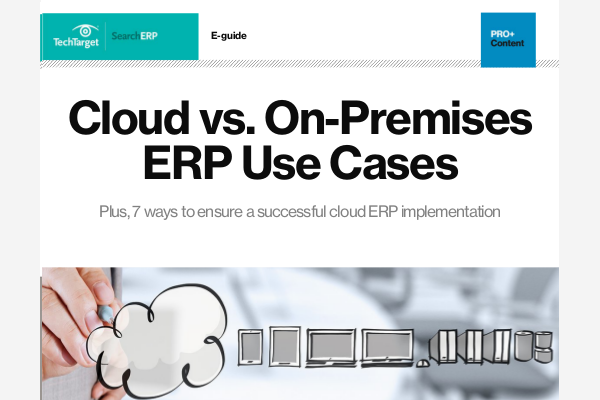 As a bonus, explore 7 ways to ensure a successful cloud ERP implementation. RapidRatings' financial analysis data can now be integrated directly into SAP Ariba, providing customers with financial health information from one source. At SAP Ariba Live, the company announced SAP Ariba and SAP Fieldglass will no longer operate as separate entities. Instead, they'll be integrated to support intelligent spend management. Blockchain is gaining ground in the supply chain and financial services, according to IDC, and other third-platform technologies are enabling the digitization of the economy. SAP Ariba Live 2018 focused on the idea that businesses can use procurement technology to do good in the world; for example, by using supply chains to expose forced child labor. Weigh the pros and cons of technologies, products and projects you are considering. What are the roles of 3PL and 4PL in supply chain management? What are the benefits of machine learning in supply chain optimization? Learn to apply best practices and optimize your operations. Which order management system features can improve customer service? What are the biggest inventory optimization factors in ERP? We’ve gathered up expert advice and tips from professionals like you so that the answers you need are always available. How can distributors create an omnichannel supply chain?